National Craft Month: What type of crafting have you always wanted to learn? I wish I knew more about crochet. As the editor of AllFreeCrochetAfghanPatterns.com, I get to look at the very best crochet sites, blogs and forum. Although I know basic stitches and have even taken a crochet class, I still feel like a total novice. I love the look of crochet and wish I could create something to give to my family and friends. In particular, I’m obsessed with amigurumi. I must admit that before I started working with FaveCrafts and AllFreeCrochet, I didn’t know what amigurumi was. But once I started digging up more and more projects, I couldn’t believe how many cool options there were out there. Goldfish Friends Amigurumi from Sherry for Chiwaluv Amigurumi Critters – Reminds me of my all time favorite fish, Nemo. 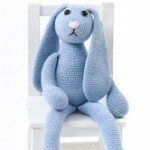 Blue Bunny from Deb Richey for Caron Yarn – The definition of adorable. I want to make this for my little cousins. 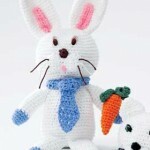 Bunny Toy from Lily Sugar’n Cream – A great project for Easter! 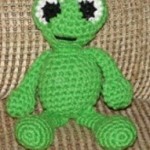 Freddy the Froggy from Diane Buyers for Stormy’z Crochet – It’s all in the eyes. 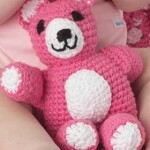 Teddy Bear Crochet Pattern from Bernat – I want this little guy to be my snuggle buddy. 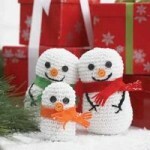 Snowman Family Crochet Pattern from Bernat- What a happy bunch! 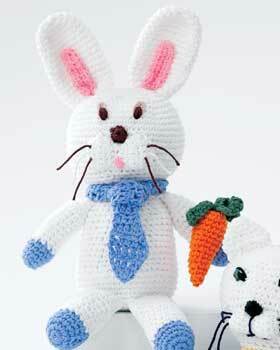 Hopefully in time I can create some of these great crochet amigurumi patterns! What type of crafting have you always wanted to learn?